The scenario allows the students to explore and interact with the environment and patient instead of being presented with a list of options, as in the traditional narrative online Virtual Patients. 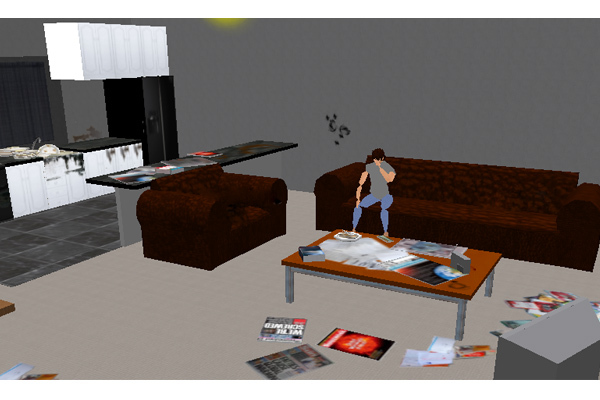 The scenario is fully developed and running with the virtual world Second Life on the St George’s University Island. The students are given information on how to log in to the virtual world and be directed to the scenario from information provided on their virtual learning environment. 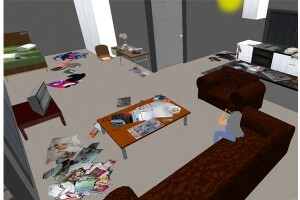 Once students are inside Second Life they are given their role, and told to proceed to the home of the patient. they will be able to compare their summary with that of a qualified psychiatrist. 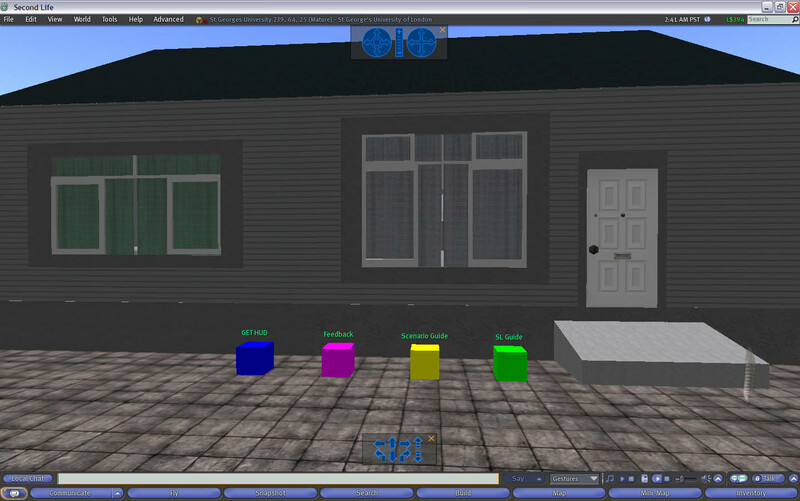 Students and staff have been given basic training in using the platform. The application was already installed on University computers, and so students had been able to access the scenarios through any St George’s computer. 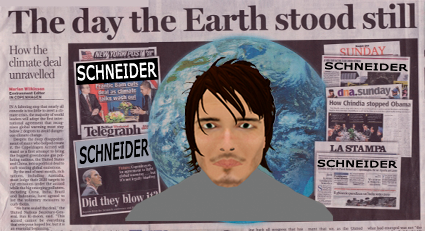 Furthermore, Second Life is free to download,thus any student that wished to could access it from their own personal computer or laptop.